Be the first to share your memories or express your condolences in the Guest Book for Joan Ann Rockenbach. 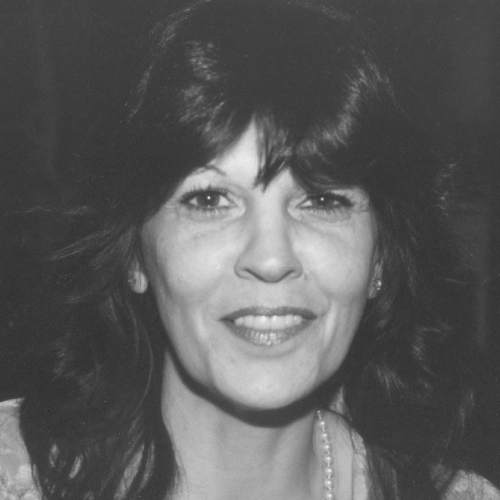 On April 1, 2019 in Tyler, Texas, Joan Ann Rockenbach passed from this life. Jo, as she preferred to be called, was a special lady, remembered for her generosity, love of her two pets, Lucie and Freeway, and her husband Bill. Born in Perth Amboy, New Jersey July 15, 1936, to Henry and Francis (Wachoski) Doucette, Jo was one of four siblings; Dolores, Henry, Joan and Donald. She moved to Southern California where she met William Leroy Rockenbach, Sr. who she married on March 23, 1983. When Bill retired they purchased a home in Tyler which Jo decorated from top to bottom with over 500 paintings, pictures, antiques and other interesting items. She loved to entertain during the holidays by baking pies and cookies, and providing a formal dinner for family and guests. Jo was a humanitarian sponsoring underprivileged children through Children International for 34 years. She was a born again Christian, devoted to her Lord and the Word of God. Jo was preceded in death by her parents, her brother, Henry Doucette and wife Jennet and her sister, Dolores Ayer and husband Robert. She is survived by her husband Bill; her brother, Donald Doucette and wife Mary Kay of California; her Daughter, Linda Meirhaeghe and husband Denny of Hesperia, California; her sons, Ed Donnelly of Archer City, Texas, and Fredrick Worden of Boulder City, Nevada, and Mark Donnelly and wife Tammy of Boulder City, Nevada; step-daughters, Debbra Collins and husband Daniel of Rossmoor, California, Darlene Mathews and husband Sean of Victorville, California, Denise Smith and husband Dave of Palmdale California, and Donna Sharp and husband Michael of Long View, Washington; and step-son, William Rockenbach, Jr. and wife Dawn and by her close friend of many years who fellowshipped with her during her final years, Joann Funk. She also is survived by many nieces, nephews, grandchildren and great-grandchildren. Joan requests no flowers as she often said "Bring me flowers when I'm living". Instead of flowers, consider sponsoring an underprivileged child through Children International. Graveside Services will be held on Monday, April 8, 2019 at 10:30 AM at Cathedral In The Pines Cemetery in Tyler with Chaplain Jeremy Smith officiating. Visitation will be held on Sunday, April 7, 2019 from 5:00 to 6:30 PM at Jackson's Burks Walker Tippit Funeral Home. To view online, please go to www.burkswalkertippit.com.